I've always had a fascination with people, who upstakes and move to the wilderness, to live a more natural, simpler life in harmony with the environment. I suppose I'm a bit of an idealist. 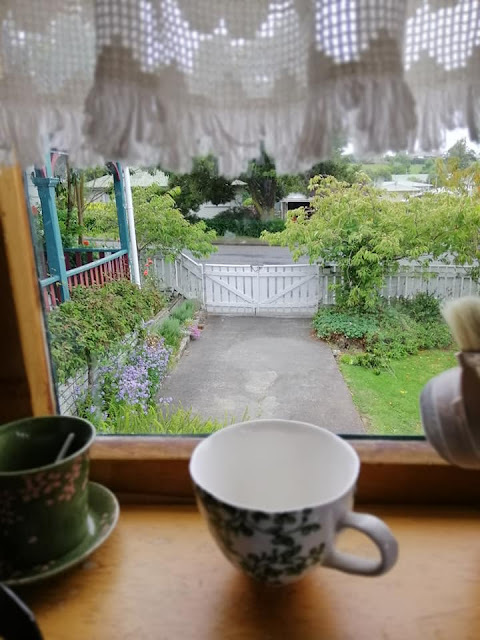 Years ago I lived in a small cottage in the native bush in a small town (poulation about 15) in Little Huia, in the Waitakere Ranges NZ). We libed their for about 6 years while the children were younger. There were only a handful of other houses and most of them were holiday homes, tucked away in the bush. I also believe its healthy for all people to live close to nature, and if the closest one can come to that, is by having a garden, then that's better than nothing. The closer we are to animals and plants, the more we realise we need each other, and that we're all part of an eco system. In cities many people are completely ignorant to the need to be conscious of what we consume, and what we throw away. Our rubbish is ending up in land fills, polluting waterways and leaving a legacy of neglect and bad stewardship for future generations. I admire people who can turn their back on the rat race, on consumerism and materialism and craft a living and lifestyle for themselves through innovative means, but the older I get, I no longer have a desire to live so far from others. My small town (population 1500 people, is quite small enough). Our property is fairly large and private, and there's plenty of room for flower and vegetable gardens along with fruit trees. Also as a Christian I believe we're created for relationship and community and not meant to live isolated from others. We may need quiet and solitude at times, but I think its healthier, if its only for a season. Some live in these areas like the video below by choice, are able to raise a healthy, balanced family and are make a living by protecting the wildlife. These people are probably exceptions and also could no doubt teach all of us many lessons about living of the land, medicinal plants, survival and being content with few possessions etc. One of the best books I have read in many years was titled 'The Holy Road' by Michael Blake (the author of Dances with Wolves'). 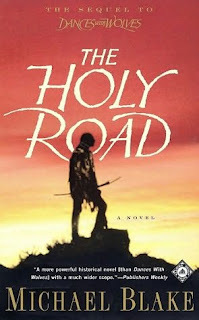 The second book continues with the story from the first, but also a lot of it is devoted to the impact the first railway line across America had on the country and more specifically on the Native American people.